The DREAM:IN Project, co-created by Carlos Teixeira and Sonia Manchanda in India, has been selected by Metropolis Magazine as one of the 6 Game Changers 2013. 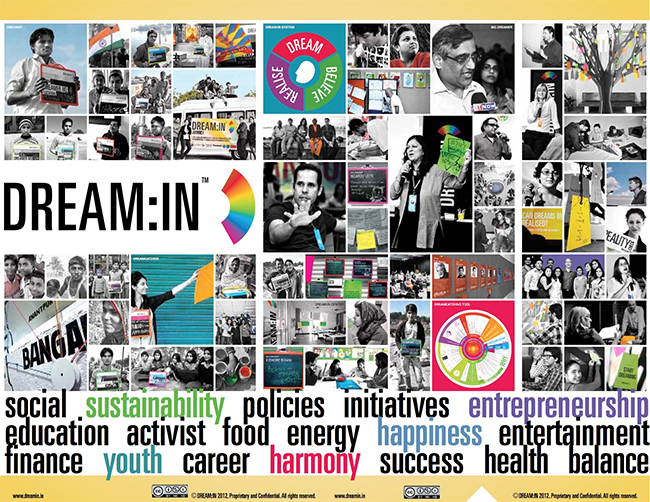 DREAM:IN is a design-driven open innovation system and global network of creative leaders, visionaries, innovators, entrepreneurs and activists. As a robust methodology, DREAM:IN responds to the scale, speed and diversity of demand for innovation in emerging markets. DREAM:IN strives to switch individuals thinking from personal needs to achieving dreams and encourages participants to focus on envisioning a design to achieve those dreams. More information regarding this honor with Game Changers 2013 and the story that leveraged DREAM:IN can be found here. The School of Design Strategies is very honored to be recognized by Metropolis Magazine and hope to continue the ability to be highlighted for the unique work throughout Parsons and The New School. SDS is also excited to announce DREAM:IN China, which will take place March 23 – April 3, 2013 in Beijing, Shanghai, and Hong Kong. Find out more about DREAM:IN by visiting www.dreamin.in. This project is highlighted in the article “Daring to Dream: The Origins of the DREAM:IN Project,” by Sonia Manchanda in The Journal of Design Strategies: Designing for Billions issue.